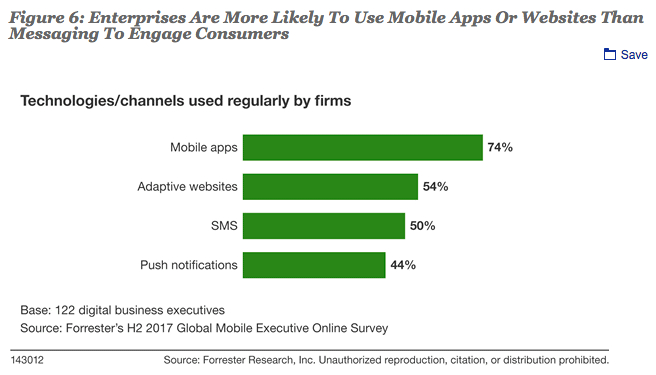 The team at Forrester has recently released new research that shows digital business professionals how to take the first steps toward future digital experiences by crafting a moments strategy that starts with notifications. Digital business pros have traditionally thought of mobile messaging as email shrunk onto a small screen. Few enterprises have a strategy. Tools exist today, but enterprises stick to what they know — email and acquisition campaigns. “Consumers have more than 200 moments on their smartphones alone each day. Three-quarters of these are what Forrester refers to as micro moments — a consumer needs only a glance to get the information they need to take action,” writes Julie Ask, Analyst at Forrester, in the April 2018 report, Alert! You need Notifications. Optimizes open rate by triggering notifications tailored to the participant timezone. Lets participants decide which type of notification they want to receive, increasing relevance and reducing cognitive overload.